Back in my day at school, calculators in the classroom were in their infancy – I was in the last year that were not allowed calculators in their O Level maths exam, although we did use them in A Level Maths. We thought they were pretty powerful and quite cool, although they immediately called into question why we had spent (what seemed like) weeks learning how to use logs to help with long long multiplication and division questions when a calculator could do the same problem – with no human error – in an instant. 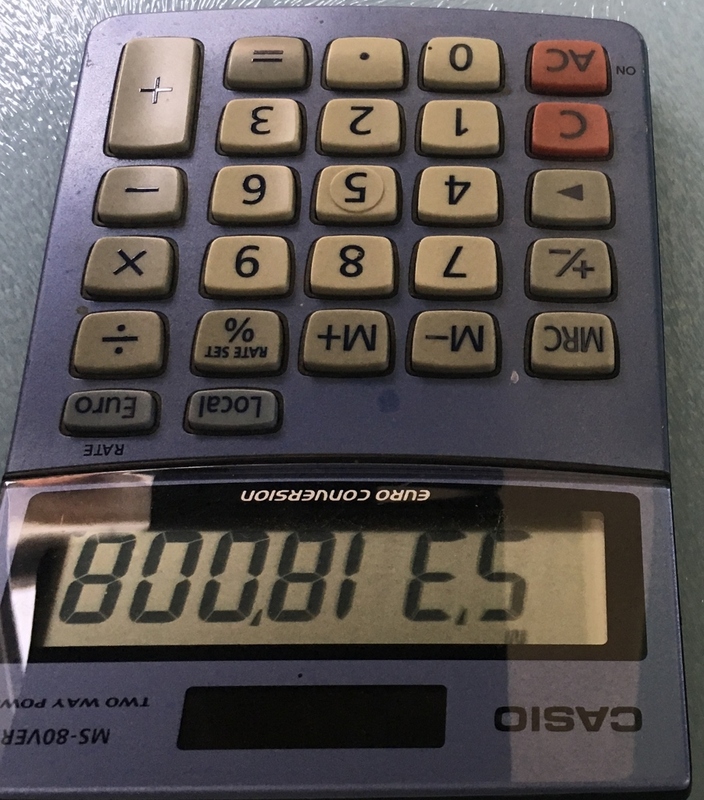 By today’s standards they were pretty basic – about the most exciting (non-mathsy) thing we could do was type in 5318008 and turn the calculator upside down for a cheap thrill and quick giggle. Not so today’s student, who has access to a pocket full of power. 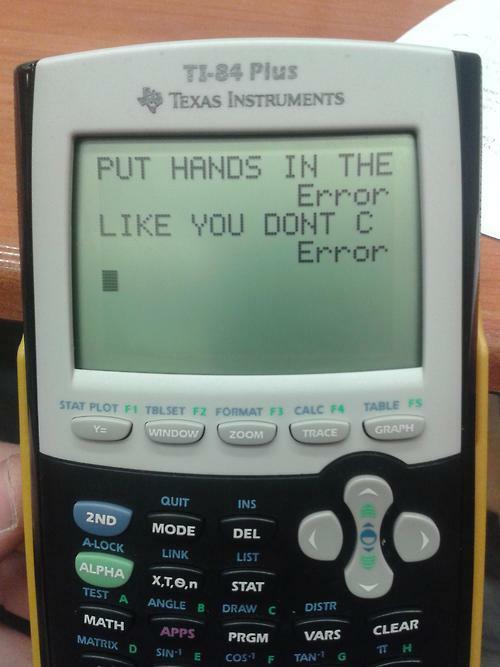 Not only have calculators moved on in the last 30 years, so has schoolboy wit and I did chuckle when I stumbled upon the image below. The spirit of schoolboy defiance lives on. To whoever came up with this, I salute you. This entry was posted in Numeracy. Bookmark the permalink. Post a comment or leave a trackback: Trackback URL.